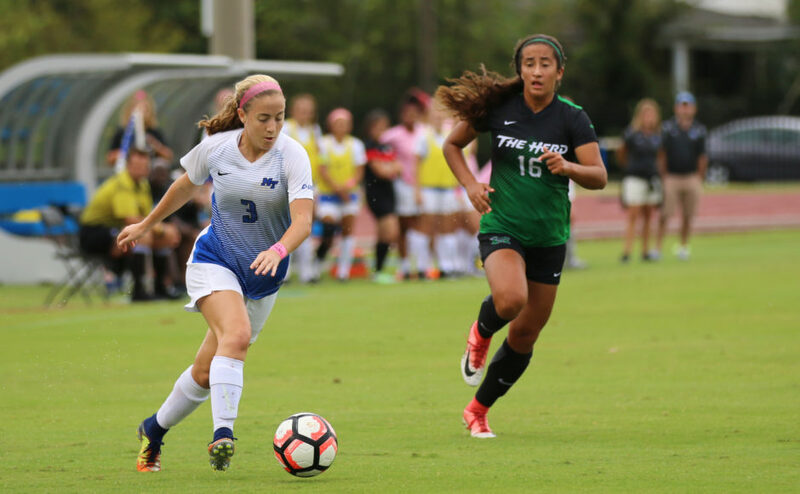 In one of their final games before the beginning of conference play, the Middle Tennessee State Blue Raiders (5-2) beat the Western Carolina Catamounts (3-3-2) on Sunday by a score of 4-0 at home at Dean Hayes Stadium. 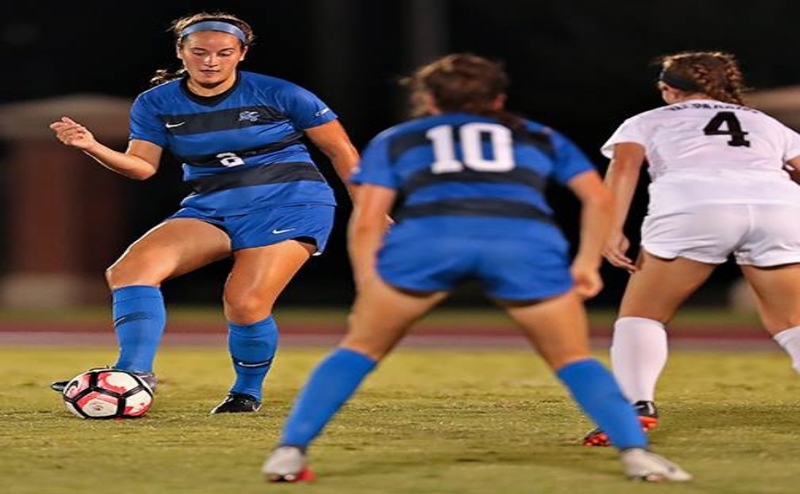 Fresh off of a two-game winning streak that saw wins against LIU Brooklyn and Valparaiso, the Blue Raiders were set to face the Catamounts, but the game didn’t start out the way the Blue Raiders would have hoped for. The first period saw a lot of bad penalties from the Blue Raiders. MT committed a couple of early fouls including an offsides call and a yellow card to Senior Sydney Navarro. 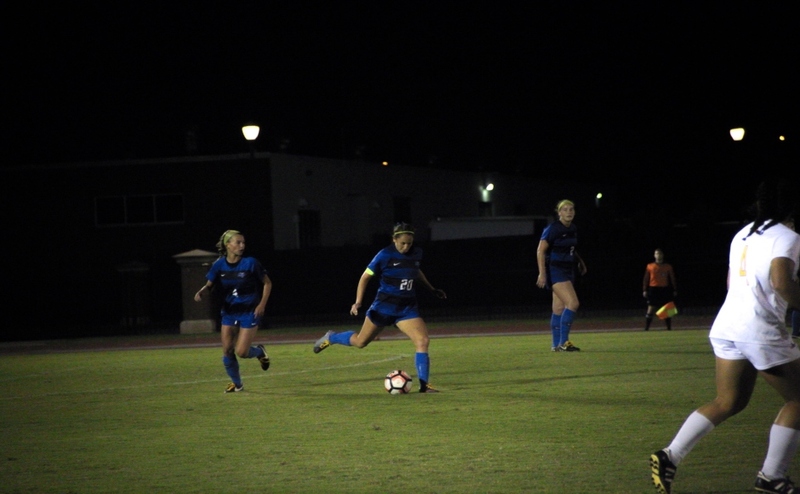 Injuries also set the Blue Raiders back as sophomore Peyton DePriest came out of the game with a mild injury in the 20th minute. Head coach Aston Rhoden said they expect her back as soon as possible. Soon after the injury, the game was delayed for an hour due to lightning. After losing in the Florida State match-up, the Blue Raiders have now won three straight games by a combined score of 12-0. 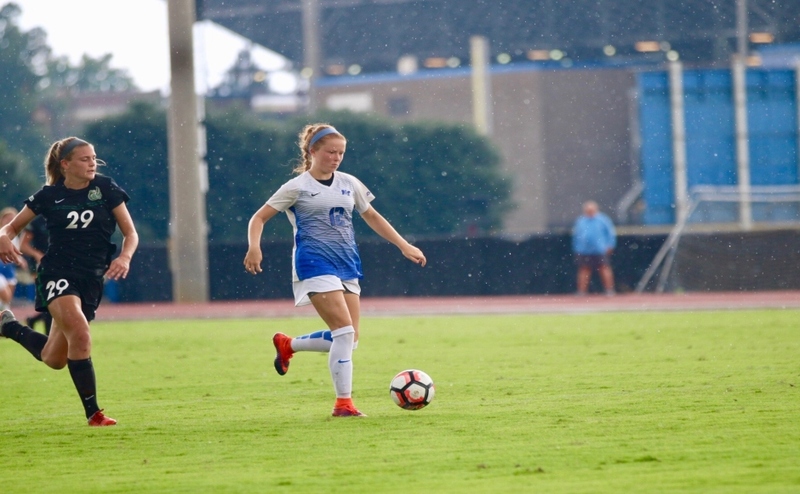 The Blue Raiders started off slow but turned it up a notch around the 16-minute mark with a goal by freshman Hannah Tillett, which was assisted by both junior Amber Hoot and DePriest. Tillett scored two more goals in this game in the 40th and 60th minute with assists from freshmen Olivia Hansen and redshirt sophomore Sam Debien. 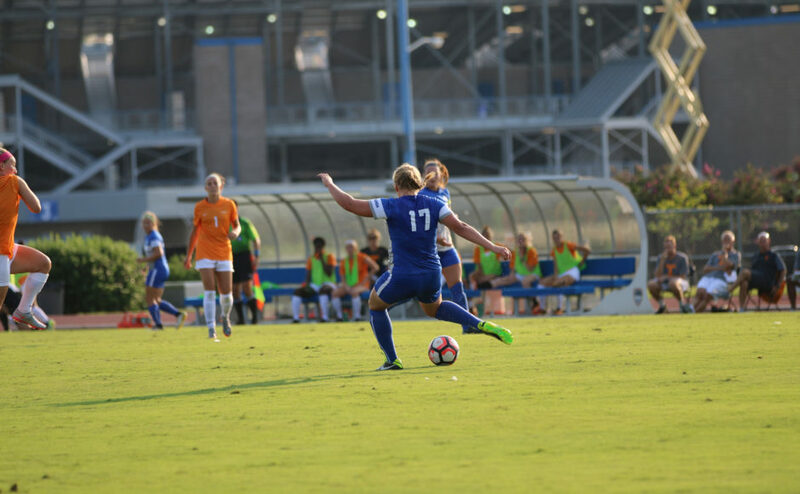 Tillett has now scored three goals in her first seven games with the Blue Raiders. Following the lightning delay, Navarro scored in the 34th minute with an assist from Hoot and sophomore Elizabeth Watts. The Blue Raiders will play in their first Conference USA game at home on Sunday, September 16 against the University of Texas at San Antonio (3-3) at 1 p.m.